Although antiquated POTS “plain old telephone service” is still widely used and extremely reliable. Many businesses are required or have chosen to use this older technology to be the backbone of their communication needs. We can provide this service in a majority of the state of Indiana. This service, in its simplest form, requires copper lines ran from your phone or phone system to a box outside of your business called a NID. There are then lines that are ran from the NID to the Central Office. We at Indiana Telephone Network lease these lines ran from the Central Office to the NID from the incumbant telephone company. The central office is then responsible for providing dial tone and transfering calls from one phone circuit to another. Another option that many of our business customers have been very happy with are our T1/PRI circuits. These products handle both data and phone service down one copper line. While the circuits are gemerally more expensive than POTS lines they offer a lot more flexibility and features such as DID (direct inward dial) numbers. Depending on the size of your business T1/PRI may actually be less expensive that POTS lines. 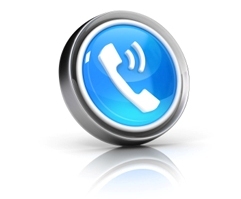 On all Business Telephone Service we bundle our Long Distance Service. If you are interested in our VOIP product for your business please see our VOIP page. "Connecting Indiana to the World"